The Global Positioning System is arguably one of the 10 greatest inventions of the 20th century. GPS has become so ubiquitous in our society that the term “GPS” is now synonymous with “tracking.” However, if you are in the business of securing and safeguarding valuable assets, the limitations of GPS, and how to overcome these limitations, must be thoroughly understood. 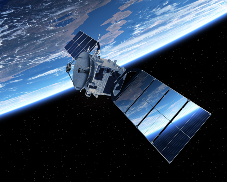 A GPS receiver receives radio signals from satellites orbiting the earth and calculates its own location using a process called multilateration. When an asset is being tracked remotely, the calculated GPS location data must be sent from the asset to a tracking central station, or in some cases, directly to the user. GPS satellites do not have two-way communication capability, as is often misunderstood, and so cannot relay any information. Most commonly, the GPS location data is sent over a cellular network via an onboard cellular modem. This is the best choice for 99% of GPS tracking applications as cellular coverage is very widespread, reliable, and affordable. If, however, an asset needs to be tracked where cellular coverage is not available or reliable, then another form of communication must be used. When tracking, for example, ships on the high-seas or trucks that travel across vast deserts, then satellite data communications must be employed. These satellites are communication satellites, however, not GPS satellites and it is important to remember this distinction. In an RF vehicle or asset tracking system, a radio transceiver, usually called a VLU, is installed in the vehicle or asset and remains inactive until the item needs to be located. When this occurs, the VLU is activated, usually by means of a remote radio activation signal that is transmitted from local radio towers. Once activated, the VLU will transmit a radio signal that can then be tracked using tracking receivers installed in police or security vehicles. The tracking receivers will pinpoint the exact location of the vehicle or asset, even if it is hidden in a garage or cargo container. There are two main drawbacks to an RF system like this. First, the activation signal that is transmitted to the stolen vehicle can be blocked by buildings and terrain. Depending upon where the vehicle or asset is located when this activation signal is broadcast, it may be impossible for the VLU to receive the activation signal until the item is moved to a more open area. The second drawback is that RF technology does not provide immediate location information to the control-center and so the tracking and recovery process can potentially take a longer time, sometimes several days. Many GPS tracking systems now employ cellular trilateration as a backup solution to GPS location in situations where GPS is not providing the needed location information. Simply put, cellular trilateration is the process of estimating the location of the tracked asset based on data received directly from the cellular network. Every cell tower broadcasts a unique ID and a cell phone, or cellular modem in the case of a GPS tracker, can see that ID. With a single cell ID, the tracked asset can be narrowed down to within a few miles, basically the coverage area of a cell tower. However, some GPS trackers are capable of reporting not only the cell ID of the tower it is currently communicating with but the IDs and received signal strength of all surrounding towers within range. When this data is compiled, then the unit’s location can be estimated often to within a few hundred feet. 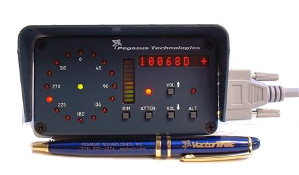 Pegasus Technologies has been developing RF tracking solutions since our inception in 1994 and we still focus on this very specialized field. However, we know the strengths and benefits of GPS tracking technology as well as cellular communication and trilateration and now strive to combine multiple technologies in all of our tracking solutions. The Pegasus law enforcement Bait Bike system, for example, combines GPS tracking/Cell ID technology with a RF tracking transmitter to deliver the most powerful bicycle tracking solution possible. Please take a look at our tracking solutions to see if we can benefit your organization or fulfill your tracking needs.